butterfly crafts with coffee filters & other fun butterfly crafts! 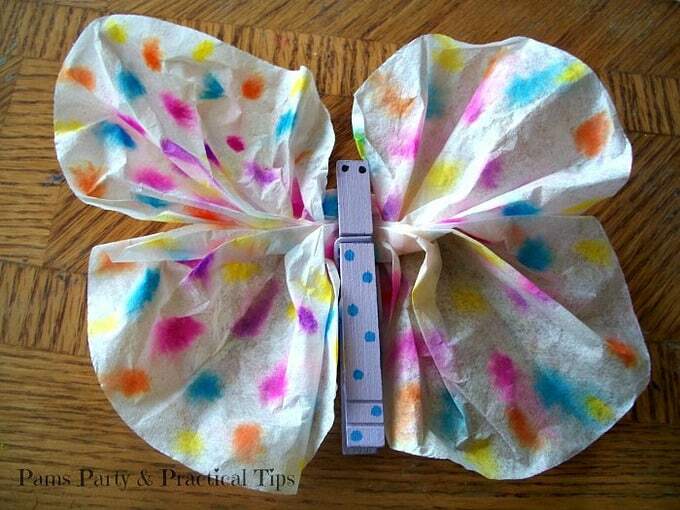 Butterfly crafts with coffee filters & Butterfly Candy – Adorable! I recently held a butterfly themed birthday party for my daughter. In addition to decorating the house with butterflies, and snacking on themed treats, we also planned butterfly crafts with coffee filter and butterfly candy treats that are perfect for kids to make. 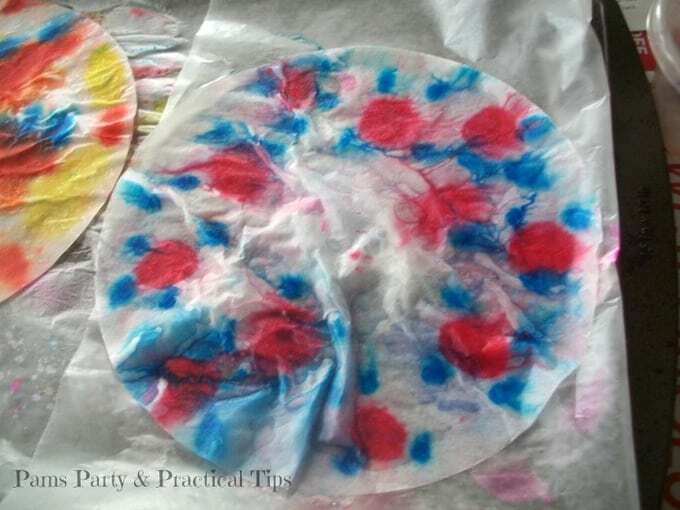 To make these easy tie dye butterflies you will need are coffee filters, clothespins, pipe cleaners, and a bottle of rubbing alcohol. All of these items can be found at the dollar store. 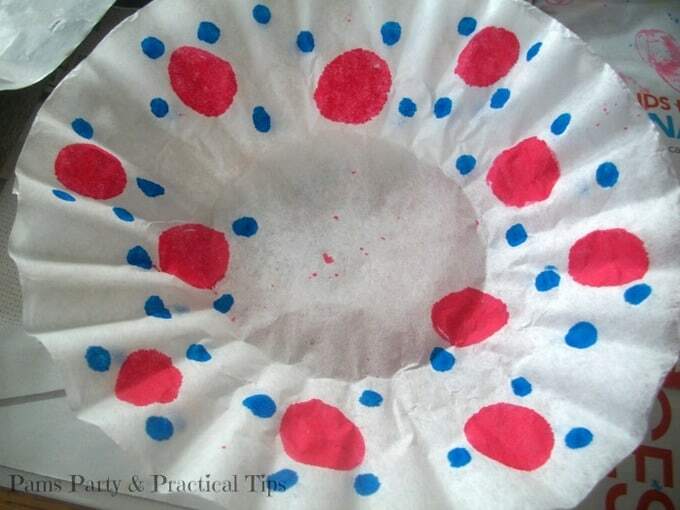 Using markers, color a design on two coffee filters that are doubled up. Only the top filter needs to be colored on. You may want to do this step on top of old newspaper, because the marker will go through both of the filters to the surface underneath. For this butterfly, I used blue and pink markers and drew a circle design. 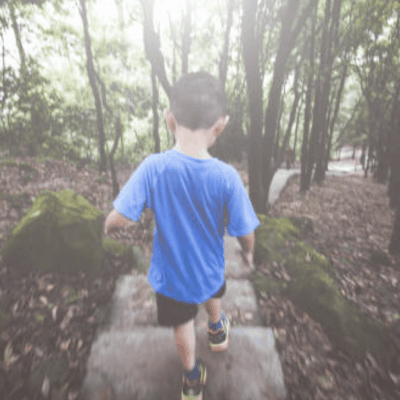 This next step is the messiest step. I suggest using an old cookie sheet covered in wax paper for the least amount of mess. 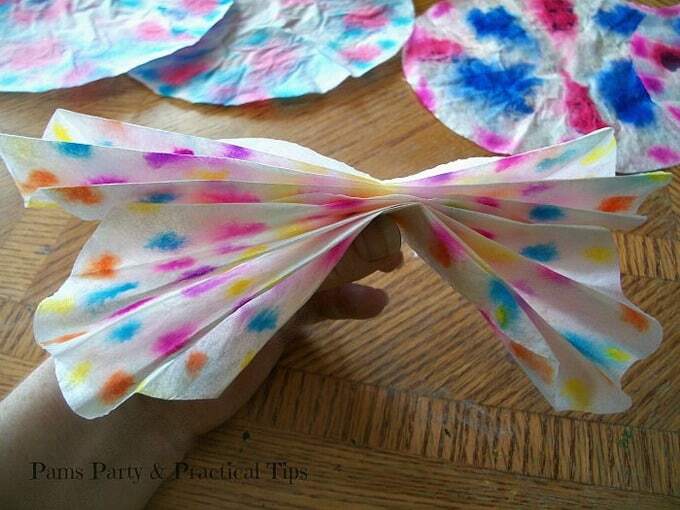 You may also want to wear old clothes, especially if younger children are making the butterflies. 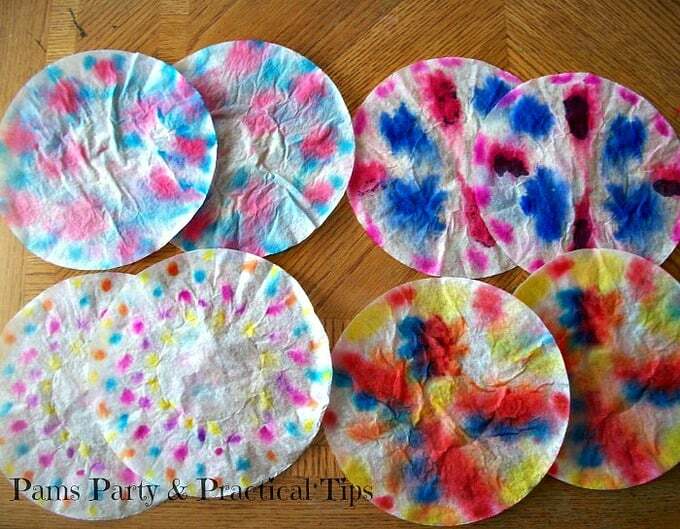 Using a paint brush, dab on the rubbing alcohol all over the coffee filters that should still be doubled up. The colors of the markers will start to bleed throughout the filter, making a new design. Without separating the filters, allow them to dry completely. Once the filters are dry, they can now be separated. You will find that they have matching designs. You will be using both of the filters to make the butterfly wings. Fold both of the filters accordian style, and hold them together by pinching them in center. Attach a clothes pin to the spot where you pinched them together. 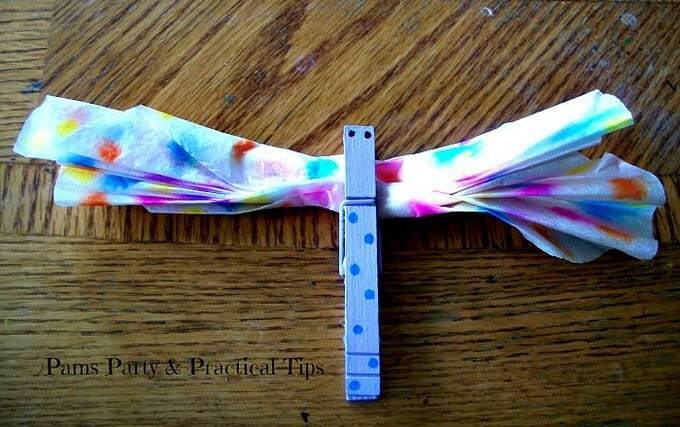 You may want to decorate your clothespin for your butterfly. We painted our clothespin, but markers and crayons will also work well especially for younger kids. Gently open the filters into the four wings of the butterfly. If you would like to add an antennae, wrap a pipe cleaner around the back side of the clipped area of the clothespin and softly curl the ends. 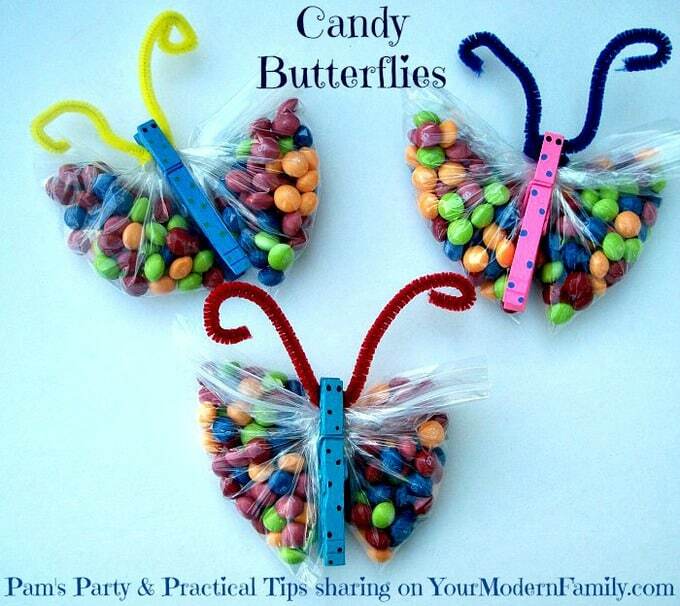 Using the clothespins and pipe cleaners, another quick and easy butterfly craft/ treat is to make candy butterfly bags. We used Skittles in our bags, but anything colorful will also work. 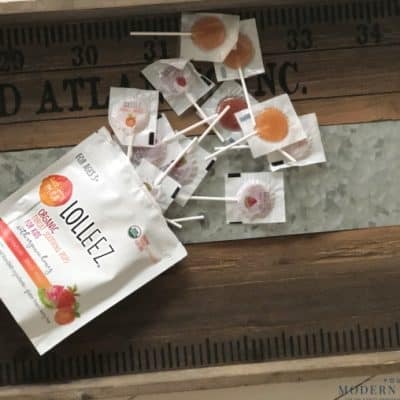 Fill a plastic baggie loosely with candy, and seal the closure. 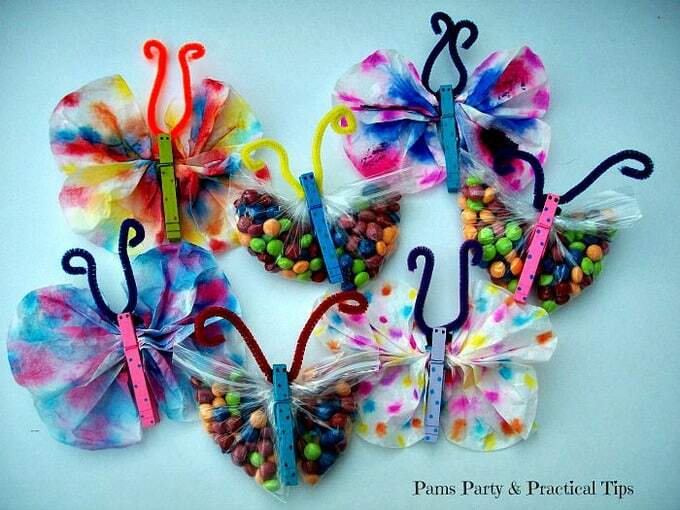 Clip the center of the bag with a decorated clothespin, and it will naturally form butterfly wings. We handed out candy butterflies out with our goody bags. 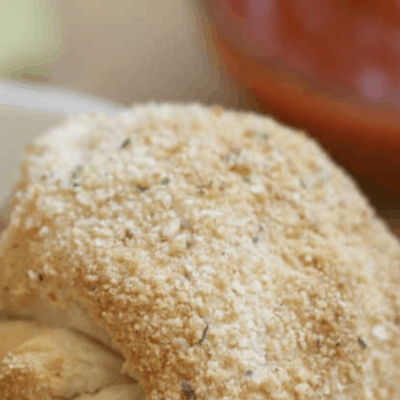 Thank you Becky for having me over on your blog today. 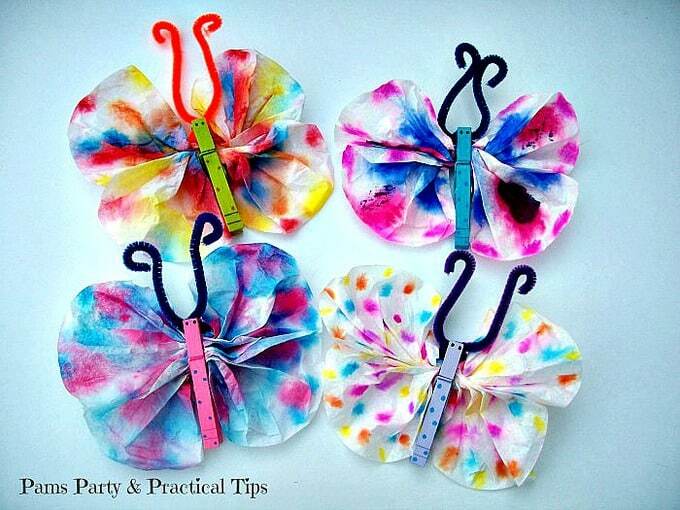 If anyone would like to see more butterfly or other party and craft ideas, they can visit me over on my blog Pams Party and Practical Tips . 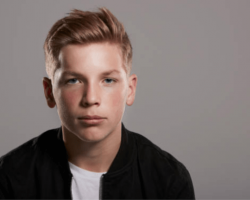 You can also find me on Facebook, Twitter. Pinterest and G+. Thanks to Pam for another awesome idea! 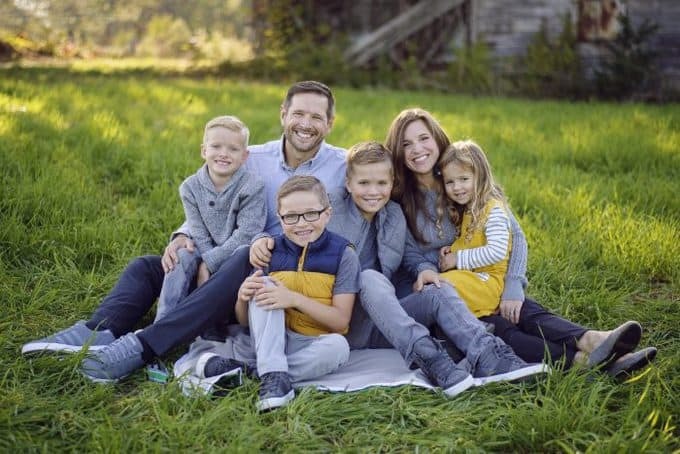 Pam Maxwell is the busy mom of two teenagers and a tween. 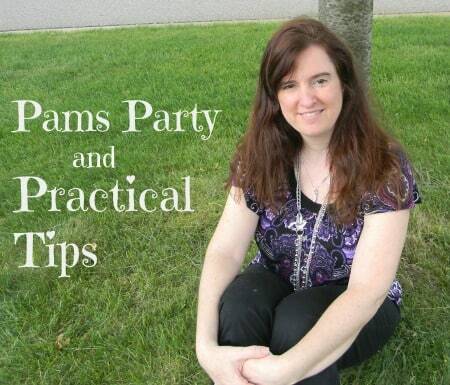 After years of planning themed birthday parties on a budget for her children, she started Pams Party and Practical Tips as a way to share her love of parties with others. 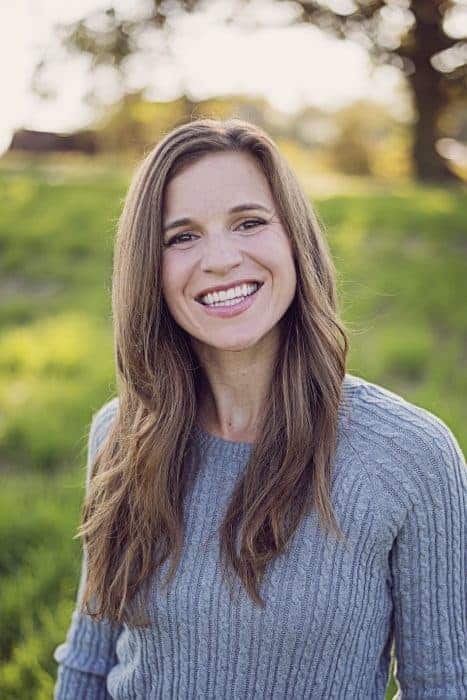 In addition to party planning, she also shares kid friendly recipes, crafts, and family activities on her blog. 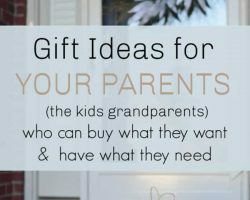 Becky, I love these ideas! 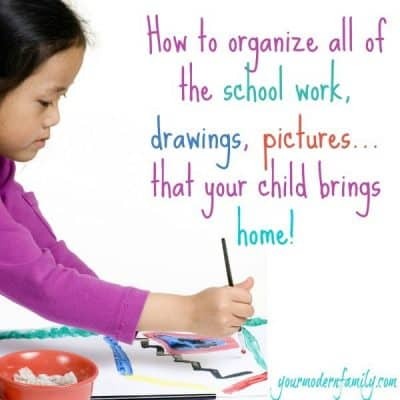 With my 4 year old daughter home next week I’m going to definitely put this on the “to do” list :). Will any markers work or do we need to use sharpies? I think any will work.